Two-fer Tasty Tuesday- Orange pineapple ice cream at Trowbridges MEGabite #34 or #68 on my countdown. Due to my recent schedule, I need to play some catch-up. This is my first ever two-fer Tuesday post and I thought that I should stay with an orange theme. Trowbridge’s is a wonderful local restaurant located in downtown Florence, the classic soda fountain shop is known as the oldest operating business that is still located in it’s original location in Florence. Every city on the whole earth should have such a happy place in their downtown! 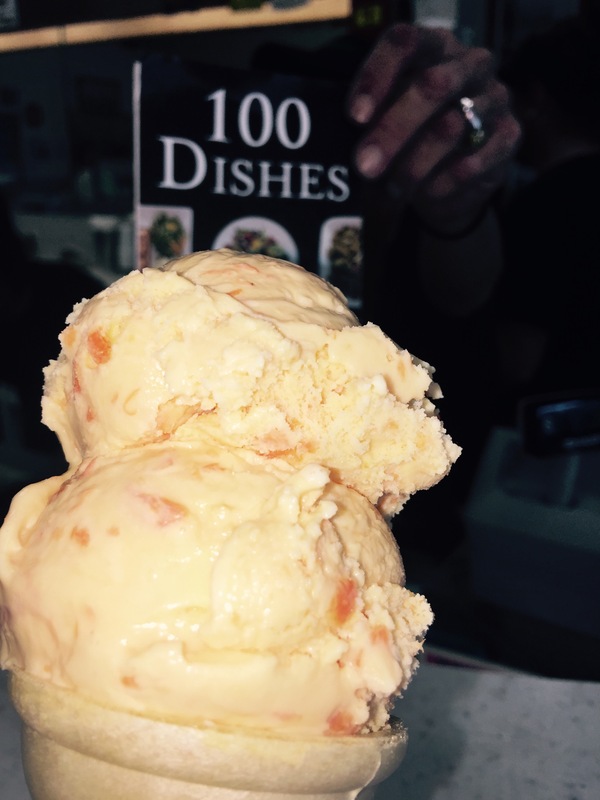 Began as a creamery in 1918, this recipe was developed right here in Alabama. Although the ice cream is no longer made on site due to demand, this dense ice cream filled with flavors of bursts of orange cream and pineapple. Not too chunky, it was deliciously smooth and perfectly blended. A taste of sunshine in every single bite! 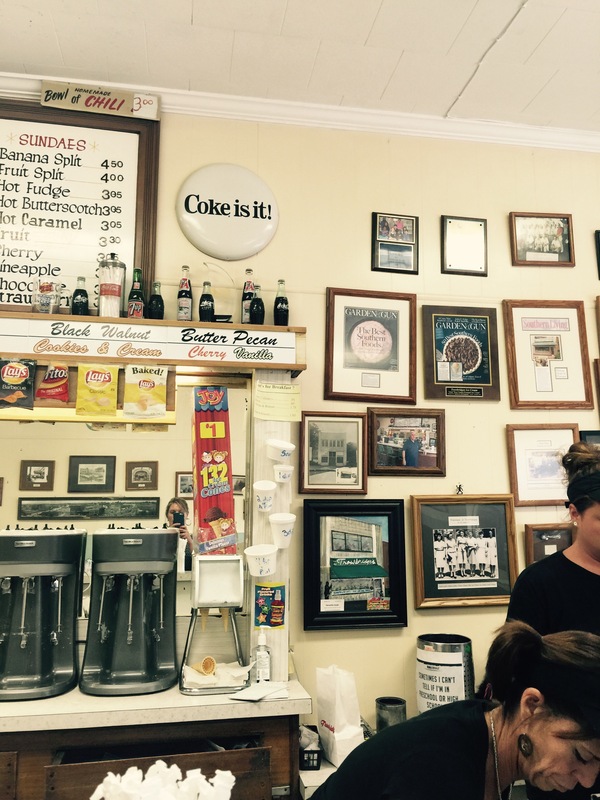 With the classic soda fountain interior, it is a small and bright place that still brings a smile to your face. A place where they are know for quick service with a friendly smile. I found this proclamation to be true. Although I am not originally from this area, nostalgia must be heartfelt for the many generations of people who have passed through these doors. 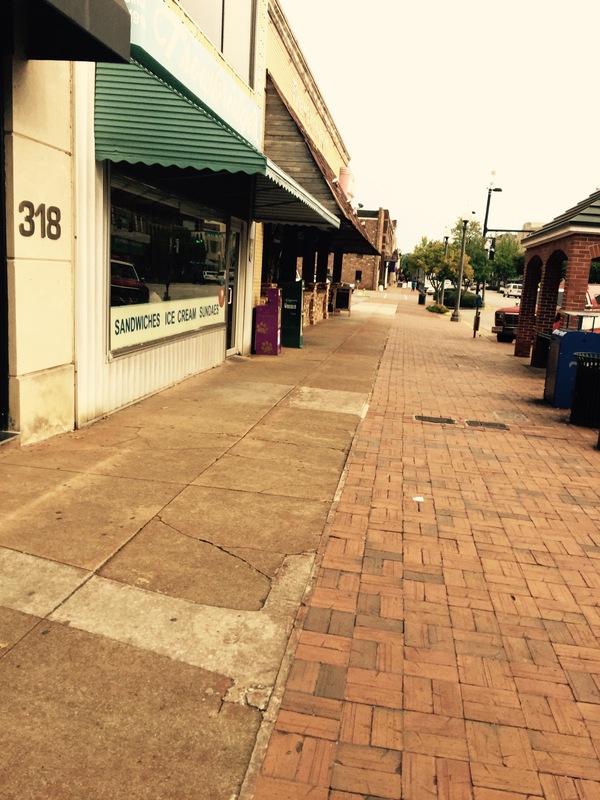 Steps away from the beautiful campus of University of Northern Alabama and with grilled cheese for $1.50 and hot dog’s for $2.00, I can imagine that many locals and students alike have been making memories since 1918. *The coveted fifth star for a wonderful stop in a place that serves Alabama food, meeting the criteria set forth by Tourism Alabama with Alabama recipes and truly served with a friendly smile. I really enjoyed this stop and I highly recommend a visit for a dish or cone of this ice cream. Who knew that there was a place where you could get a sunshine daydream for $1.20. Stop in for a visit. Open daily from 9:00 am -5:30 it is a great place for a bite. Do not miss this ice cream! Check out the homemade soups, pimento and cheese sandwich and the olive and egg. Love it! I use a 5 MEGastar system. I am not a food critic, just Meg, a curious traveler, with an interest in trying different foods and sharing my two cents on my experience. I try to follow my star system so that I may be fair to the wonderful dishes and establishments that have been chosen for this list. *meh food. Just wasn’t good. Maybe the food came from a can. The place was not one that I would want to send someone to show pride in Alabama. This has happened to me a few times and it is always a difficult write for me.